We are still in Cornwall. We have finally sorted the last of our stuff before the house is sold, and we have managed to get our tiny house ready for occupation (our contingency plan for if we can’t boat any more). This is also our little bolt hole to save us bothering family and friends when we come back! 2 rooms big enough for us and cheap to run. We are both missing the boating life though and think we may return soon. Paperwork needs signing so decisions whether to stay, or get it forwarded up country to where we are currently. Meet Izzy our new crew member. We had been considering another dog, but would have to be small for the life we lead. 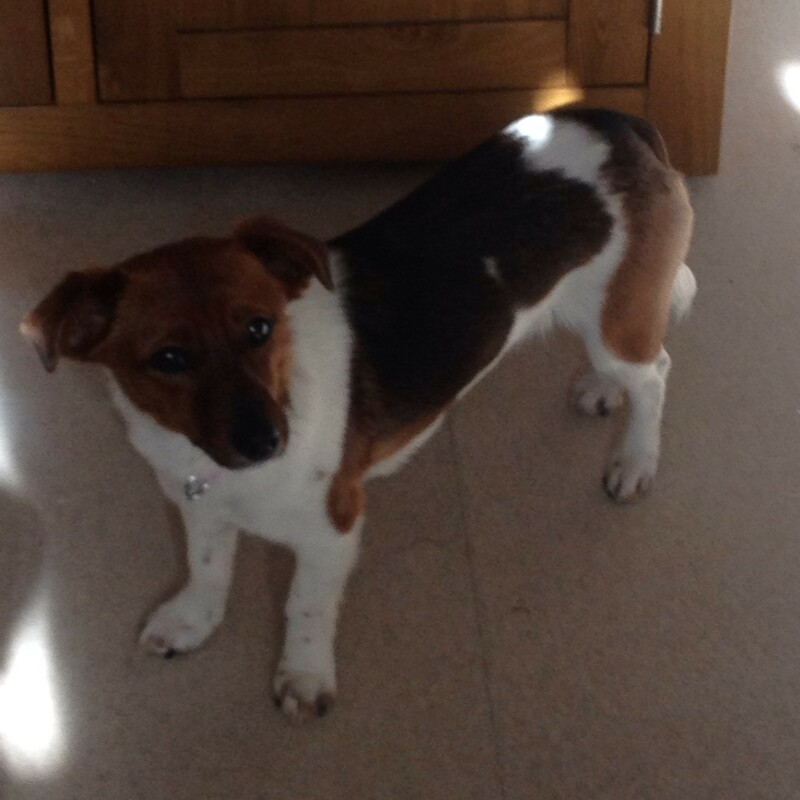 She is 11mths old, a JRT/dachshund x, and we got her from the local animal rescue in Newquay. She will keep me fit as I’m the one who gets the walkies job! She is young enough to learn the boating life. Well thought I’d better do an update as many followers missing my blog. Hopefully back on our travels soon.